Adenomyosis is the presence of endometrial tissue within the myometrium. The endometrial tissue is composed of both glands and stroma and may be responsive to hormonal influences and can therefore cycle along with the rest of the endometrium during the menstrual cycle. The adenomyotic tissue can be distributed diffusely or focally. The affected part of the uterus is enlarged and boggy. 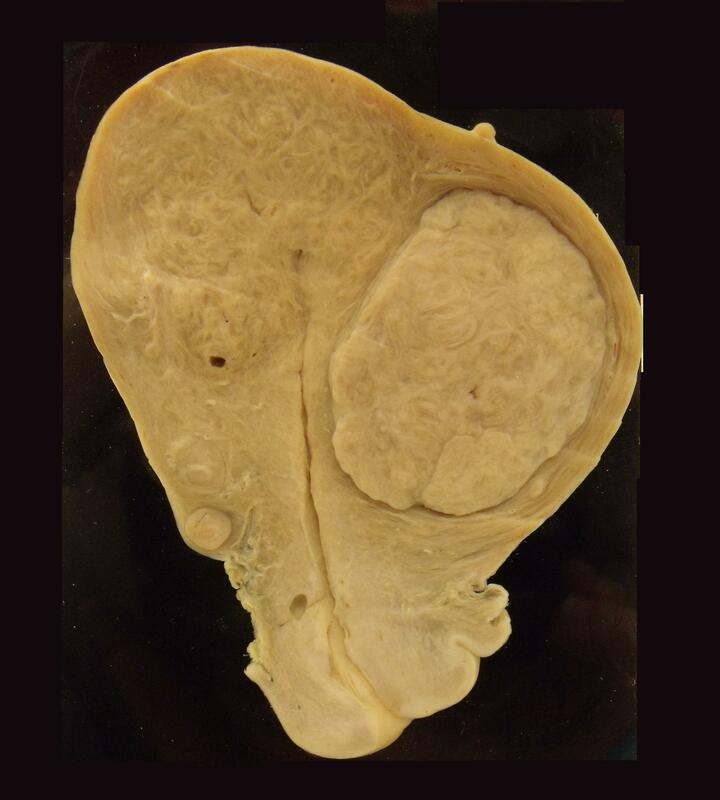 Focal adenomyosis can resemble a non-encapsulated tumour. Adenomyosis may produce dysmenorrhoea. Distortion of the endometrial cavity can cause menorrhagia. The condition can also be asymptomatic and discovered only in a hysterectomy specimen performed for other reasons. The treatment is symptomatic if child-bearing capacity is to be retained. If curative therapy is required a hysterectomy is performed.